Mike Tyson at the curtain call for "Mike Tyson: Undisputed Truth" on opening night. Not a TKO, but an interesting, and certainly odd, night at the theater. 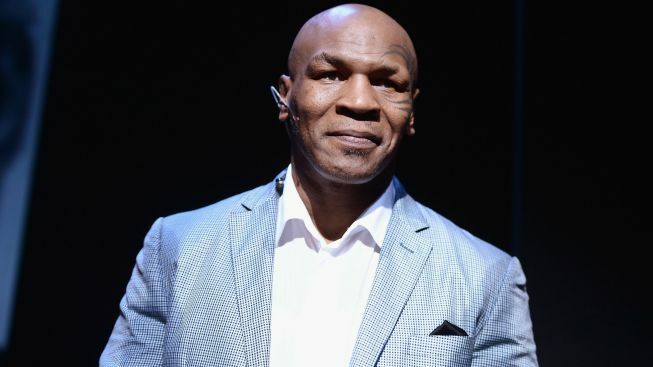 That’s the consensus among critics, who say former heavyweight boxing champ Mike Tyson delivers an awkward, yet once-in-awhile charming spectacle in his one-man show “Mike Tyson: Undisputed Truth,” directed by Spike Lee and at the Longacre Theatre through Aug. 12. In the Toronto Star, high-minded theater critic Richard Ouzounian said “Truth” was another example of how theater uses boxing as metaphor to examine the relationship between black men and power. “From Sammy Davis Jr. in Golden Boy to James Earl Jones in The Great White Hope... you can find a gallery of black men who are groomed to win, until it becomes more expeditious to bring about their downfall,” he wrote. The New York Post’s Elizabeth Vincentelli said the show’s first hour was “funny, cheeky and fast." Playbill’s opening night photos can be found here.